Background: Achilles tendon rupture is a common injury, which can frequently affect young, active people. 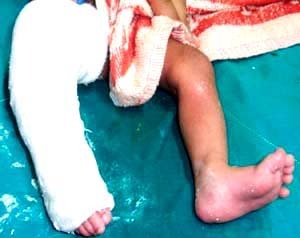 Consequently, there are important socio-economic implications in choosing the correct treatment. 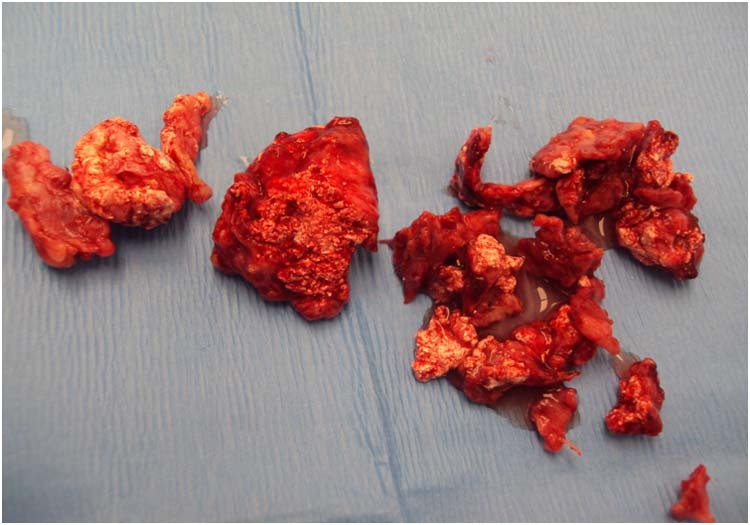 There is considerable debate in the literature concerning surgical versus non-surgical treatment and most surgeons would elect not to repair a rupture within the muscle belly above the musculotendinous junction. 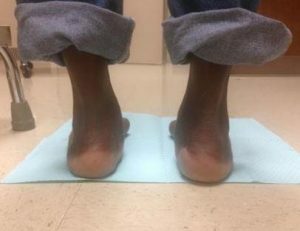 There is a wide anatomical variation in the exact location of the Achilles musculotendinous junction, which can lead to confusion among surgeons when trying to identify the location of a rupture and treatment plan. 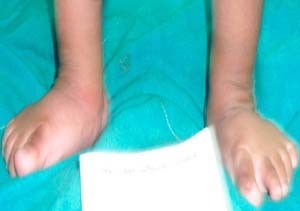 Materials and Methods: Delegates at a regional orthopaedic meeting were asked to fill in a questionnaire, which showed a photograph of a lower limb. 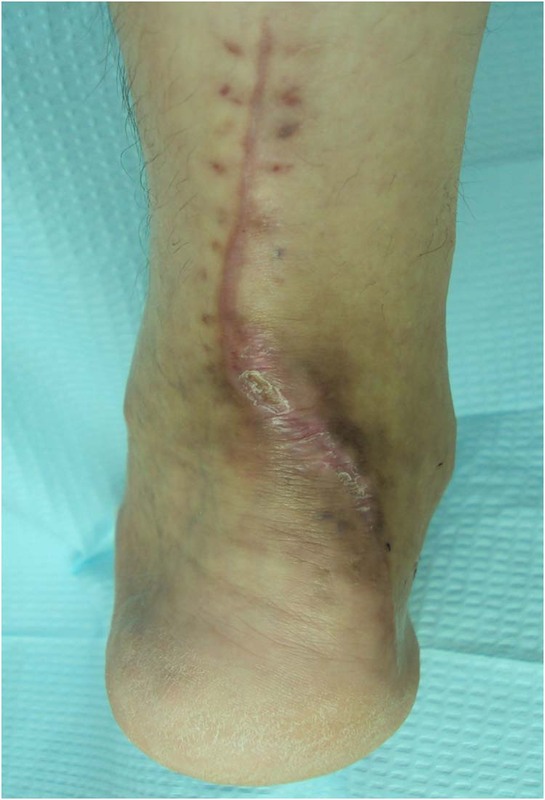 They were asked to draw two transverse lines, the first identifying the musculotendinous junction, and the second marking the highest level at which they would consider a surgical repair. 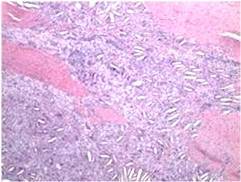 They were asked about their understanding of the term “musculotendinous junction”. Results: Twenty two delegates (n =22) of various degrees of seniority responded. 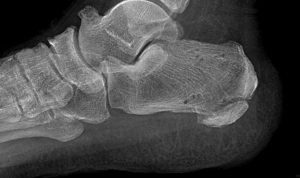 There was a wide variety of answers, with the average level of the musculotendinous junction identified as being 10.1cm above the insertion into the calcaneum. The average highest level for considering surgical intervention was 8.71cm above the insertion into the calcaneum. Cadaveric measurements have shown that in fact the Achilles musculotendinous junction lies on average 5.51cm above the tendons attachment to the calcaneum. 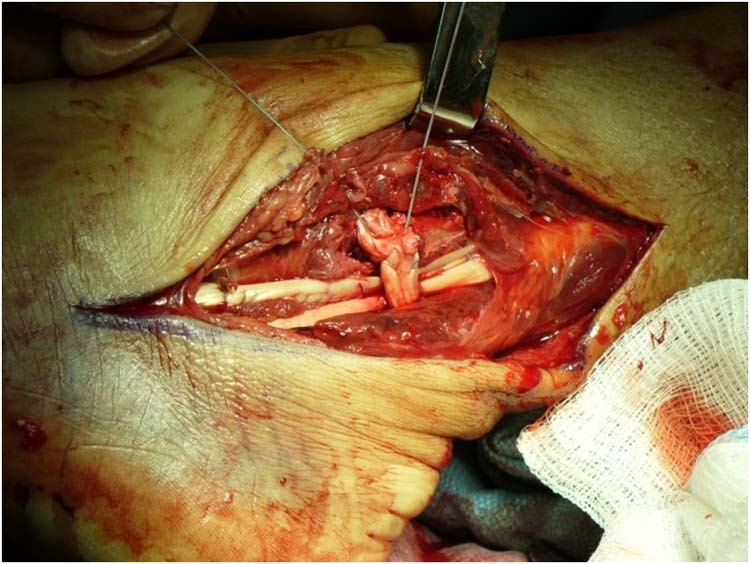 Conclusion: There is confusion regarding the exact location and nature of the Achilles musculotendinous junction among the orthopaedic surgeons in our survey. 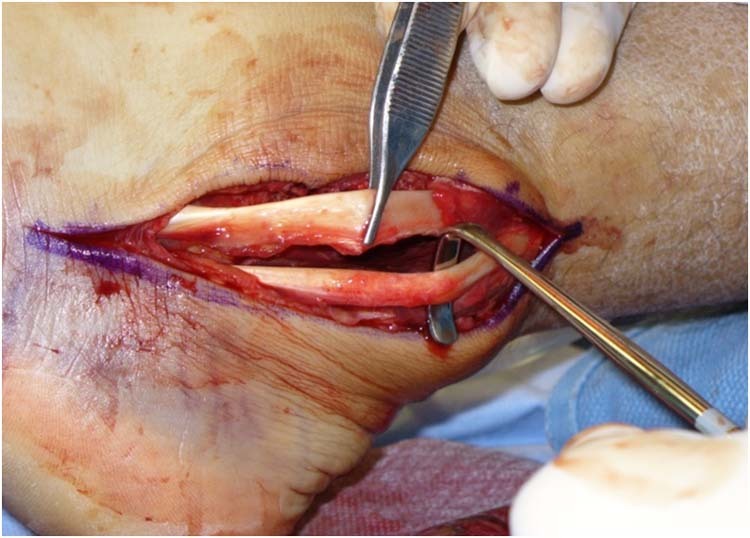 Although most surgeons stated that they would not operate on a rupture above the musculotendinous junction, almost all identified a point higher than this region as their highest point for repair. 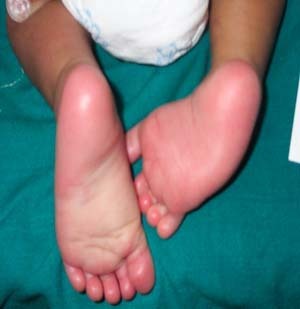 Particular care is advised if an ultrasound reports the location of any rupture relative to the musculotendinous junction. 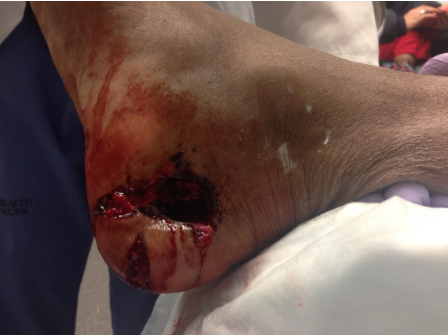 Key Words: Achilles tendon, rupture, surgical repair, conservative treatment, musculotendinous zone. 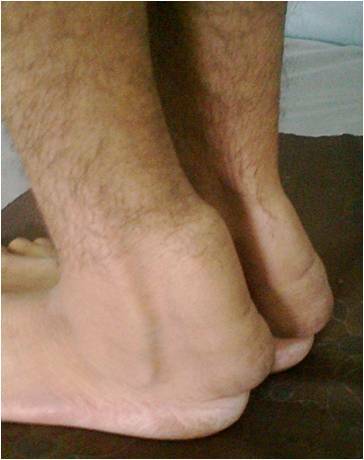 The most common site for Achilles tendon rupture is 2-6cm from the calcaneal insertion, [1,2] although avulsion fractures of the os calcis have been described. 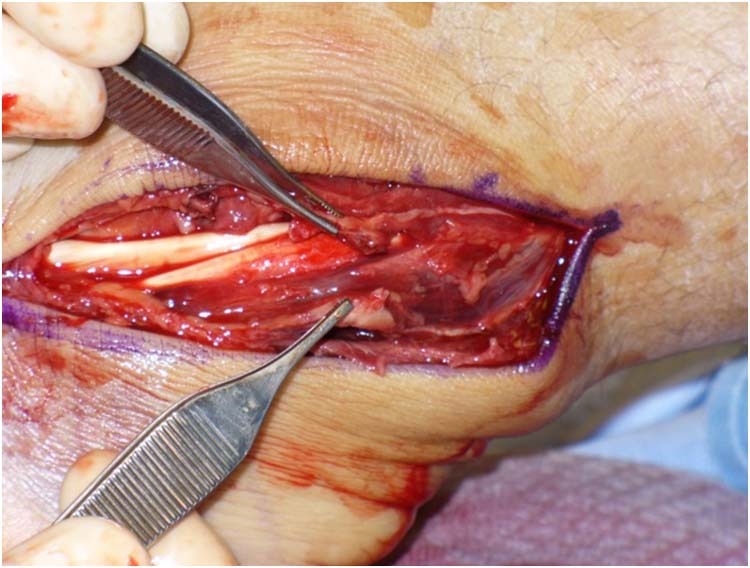 The Achilles tendon rupture is a common injury, affecting approximately 18 in 100,000 people [4,5], typically males between 30 and 50 years of age. There is considerable debate in the orthopaedic literature about the benefits of surgical versus conservative treatment. 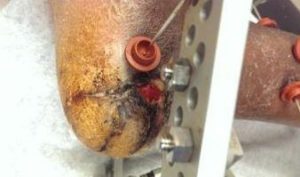 However, it is generally accepted that surgical repair offers a lower rate of re-rupture, and conservative treatment avoids wound complications. 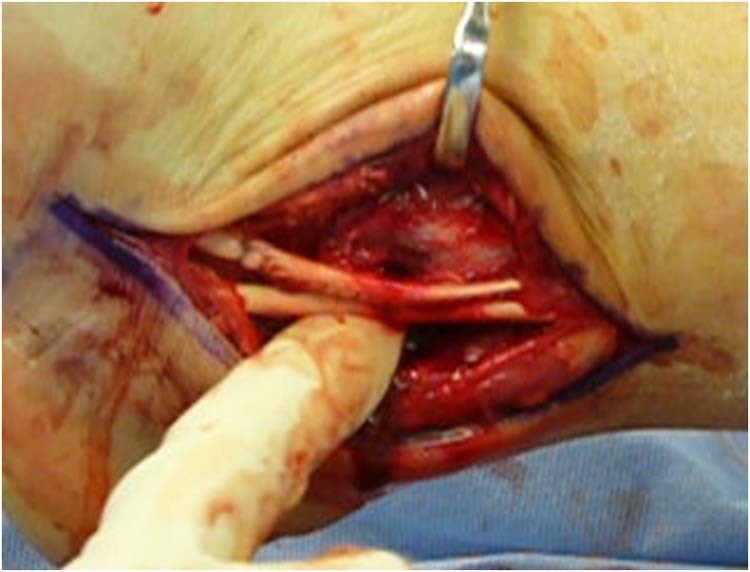 [4,6,7] Many surgeons would elect to treat a rupture proximal to the musculotendinous junction (i.e. within the muscle belly) conservatively. 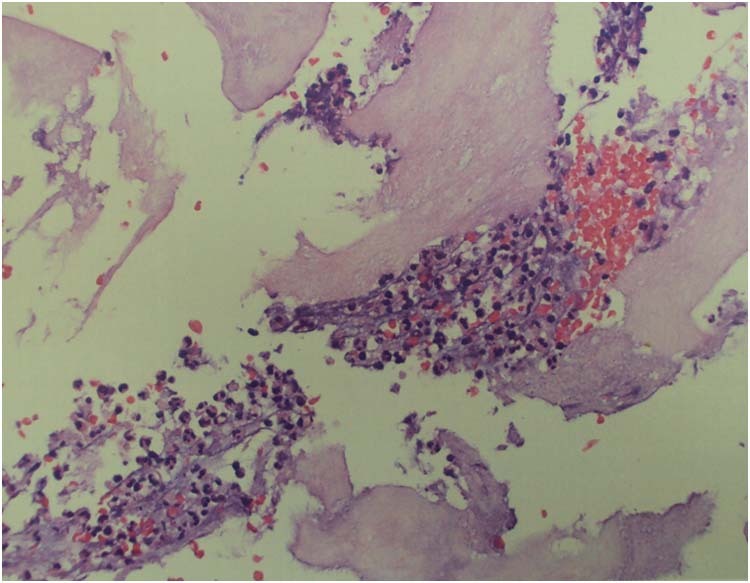 The aim of this study was to investigate the confusion among surgeons of the exact nature and location of the musculotendinous junction. 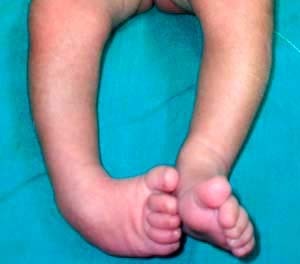 Delegates at the 2008 British South West Orthopaedic Club (SWOC) were asked to fill in an anonymous questionnaire, which showed a photograph of an exposed lower leg (male, 177cm tall – age and weight of the subject?). 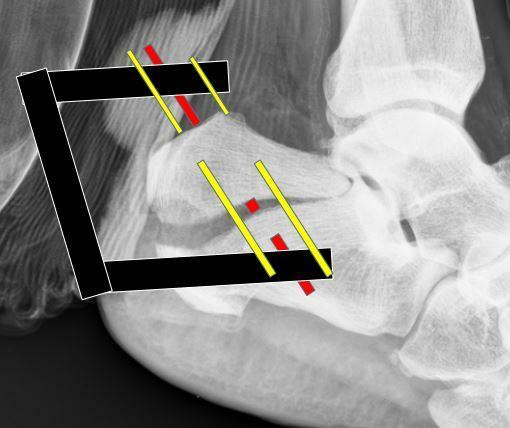 They were firstly asked their level of seniority, and then asked to draw two lines on the photograph; the first (labeled “line 1”) at the level of musculotendinous junction, and the second (labeled “line 2”) at the upper limit of where they thought surgical repair of an Achilles tendon rupture could be beneficial. 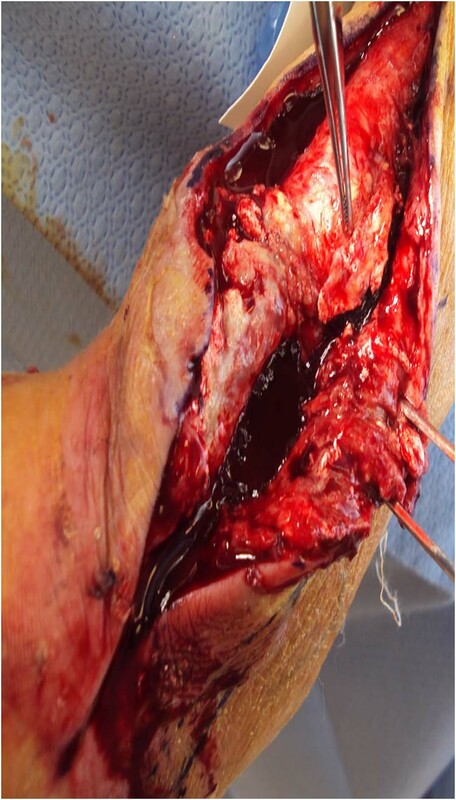 They were also asked what they understood by the term “musculotendinous junction” for the Achilles tendon, and what they considered as the clinical significance of this junction. The original photograph included a tape measure which was cropped out of the image shown to the delegates. 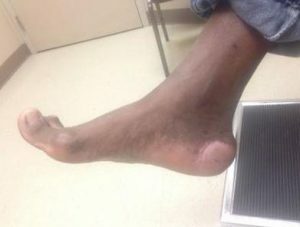 The exact location of the Achilles tendon insertion was established using ultrasound and a mark on the subjects’ skin, which was digitally removed on the image shown to the delegates. A scaled ruler was used to directly measure the delegates’ markings on the photograph. 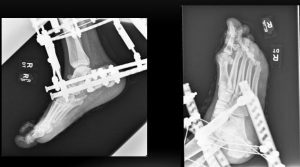 Twenty-two (out of 35) surgeons returned a completed form- 7 Consultants (2 with an interest in foot and ankle surgery), thirteen Specialist registrars (SpR), 1 Associate Specialist, 1 ST1 trainee, and 1 respondent not specifying their grade. 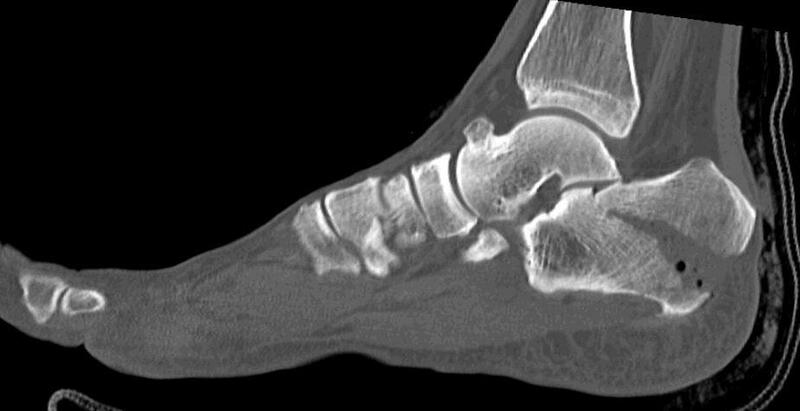 The average level at which the musculotendinous junction was identified was 10.1cm (Standard Deviation [SD] 3.9cm) above the calcaneal attachment, with the average for consultants slightly higher than SpRs, at 11.5cm and 8.8cm respectively. The average highest level at which people thought surgery would be beneficial was 8.7cm (SD 2.7cm), with little difference between consultants and SpRs (8.8cm compared to 8.6cm). 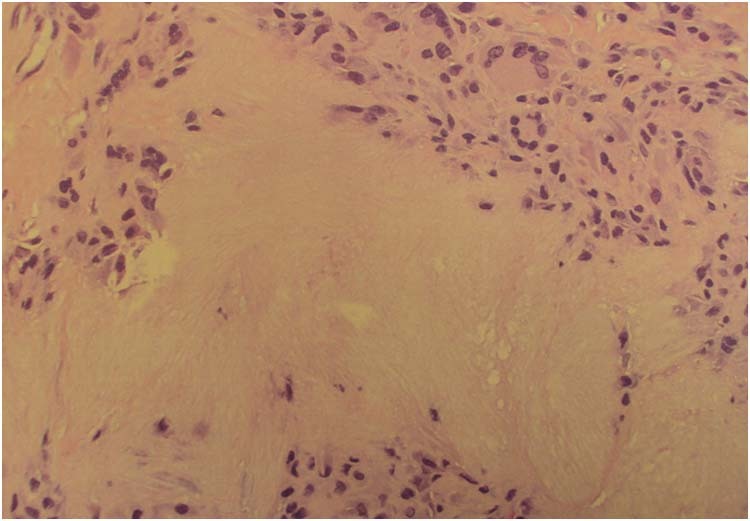 This meant that overall, those that responded thought that the highest level at which a patient might benefit from surgery was on average 1.4cm (SD 1.4cm) below the level of the musculotendinous junction. 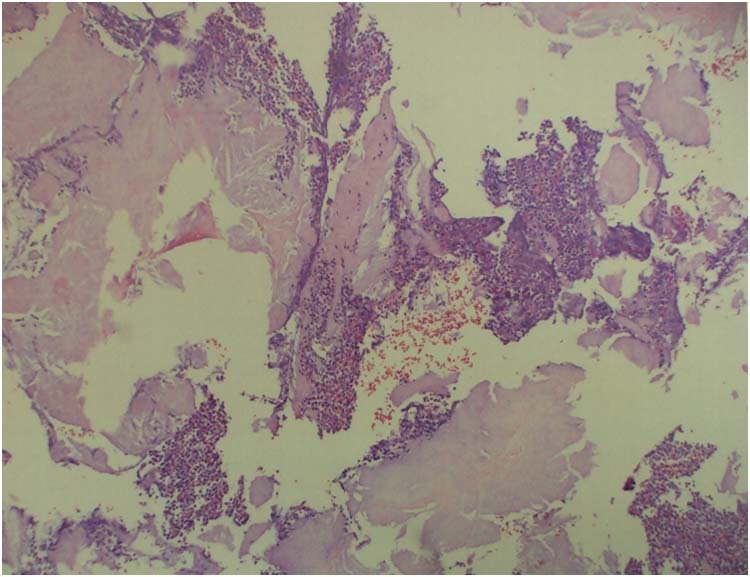 There was a wide disparity in answers, with levels identified for the musculotendinous junction varying between 5.5cm and 24.5cm, with the level identified for considering surgery varying between 5.5cm and 17.5cm. 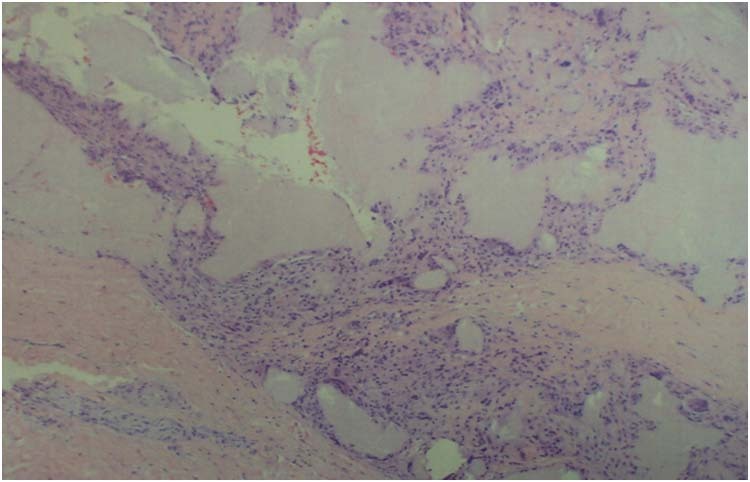 The variation in differences between the two levels was also large, from people identifying the highest level for surgery at 3.5cm below the musculotendinous junction through to 2.5cm above it. 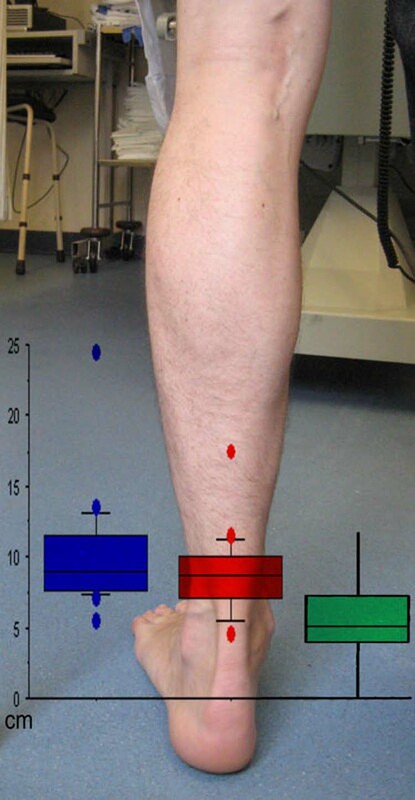 When asked what their understanding of the term “musculotendinous junction” was, virtually all respondents stated that it was where the muscle fibres were replaced by tendon, with a few people identifying it as a zone of transition rather than a discrete “junction”. 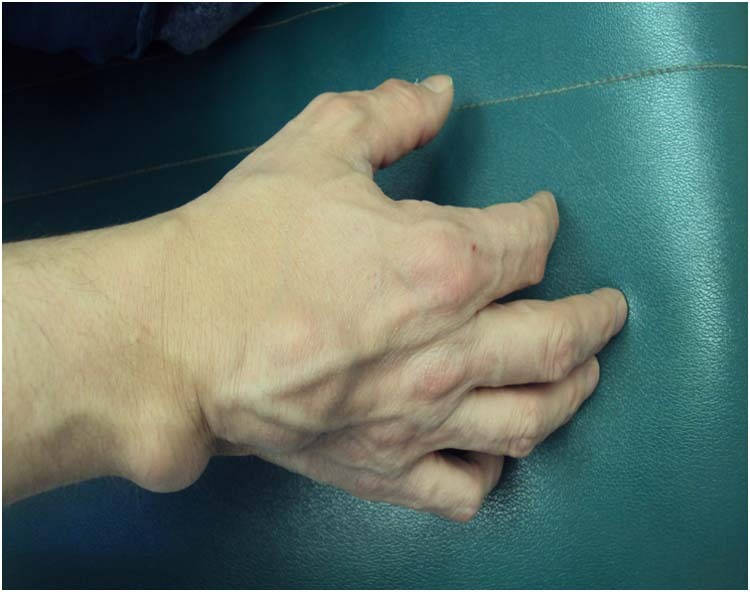 When asked what they felt its clinical significance was, comments varied from “the muscle enhances healing/vascularity”, “the suture in the muscle belly is less likely to hold”, to “nil”, and “arbitrary”. 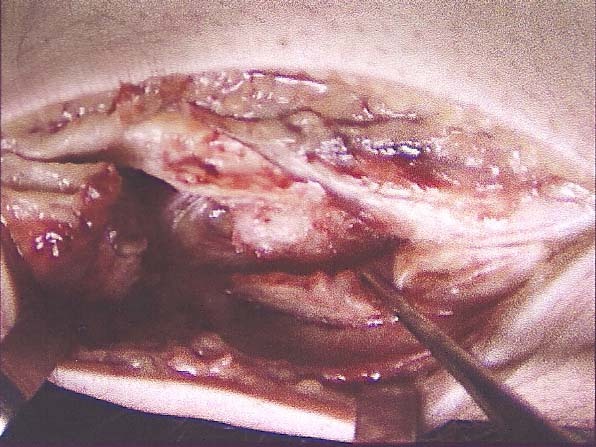 However, most comments (thirteen out of twenty two) suggested that tears above the musculotendinous junction should be treated non-operatively, with comments such as “ruptures proximal to this don’t benefit from surgery”, and “repair at or above will be difficult due to suture cut out”. 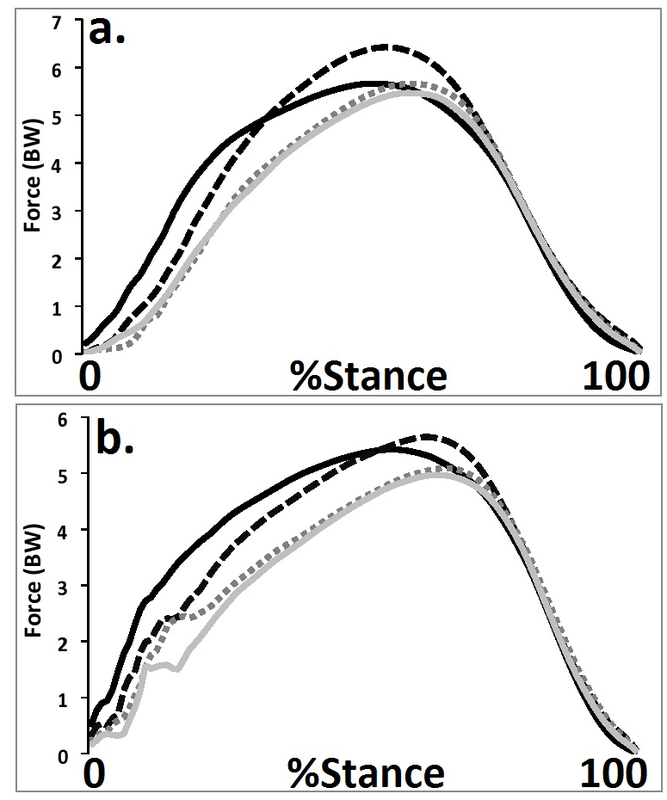 The results are summarized in figures 1 and 2. 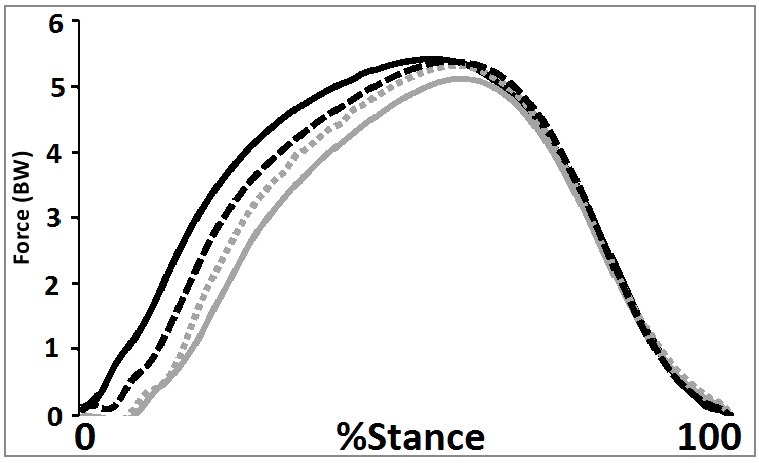 In 2007 Pichler, et al. 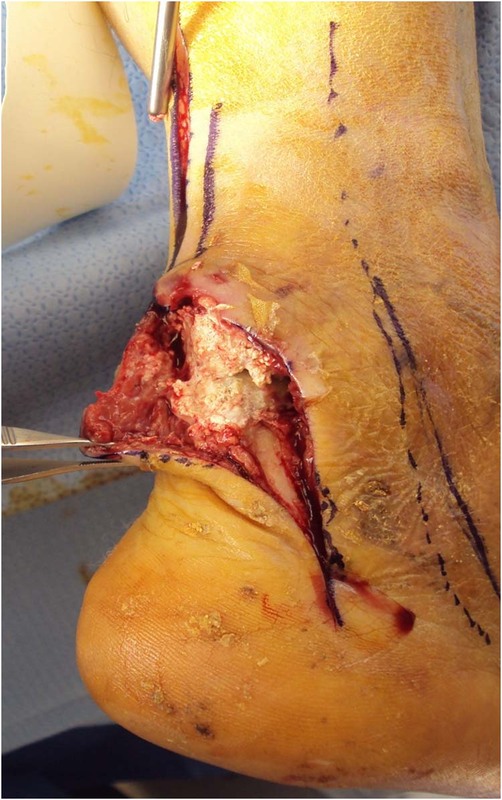 , directly measured the distance from the soleus musculotendinous junction to the attachment of the tendon to the posterior surface of the calcaneal tuberosity in series of cadavers. 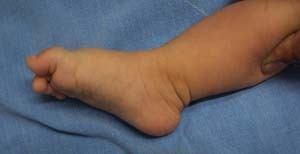 Although they reported a wide anatomical variation, ranging from 0 to 11.75cm, they showed that the overall average distance was 5.51cm, with 70% of their subjects having a musculotendinous junction between 2.54cm and 7.62cm from the attachment to the calcaneus. 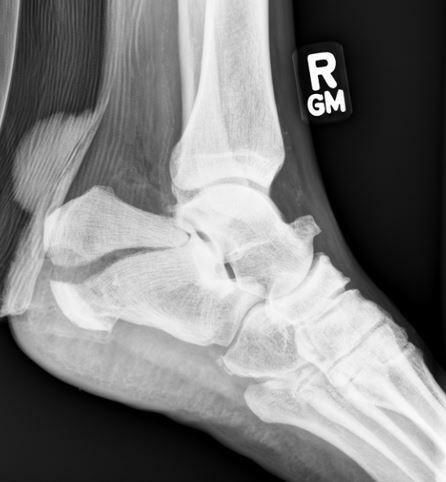 This is considerably lower than the level identified by the surgeons in our survey (where the average was 10.1cm). 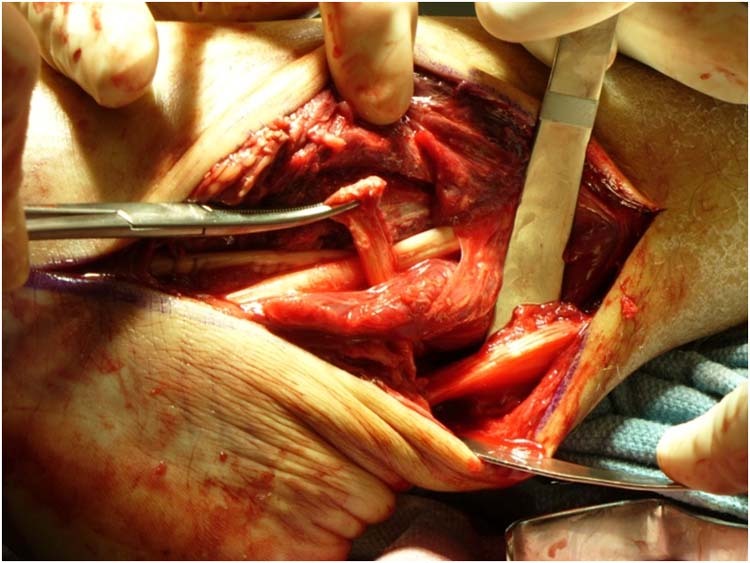 This suggests that orthopaedic surgeons consistently overestimate the level of the musculotendinous junction. This disparity is of concern as it may lead to misinterpretation of ultrasound reports that make reference to the musculotendinous junction. 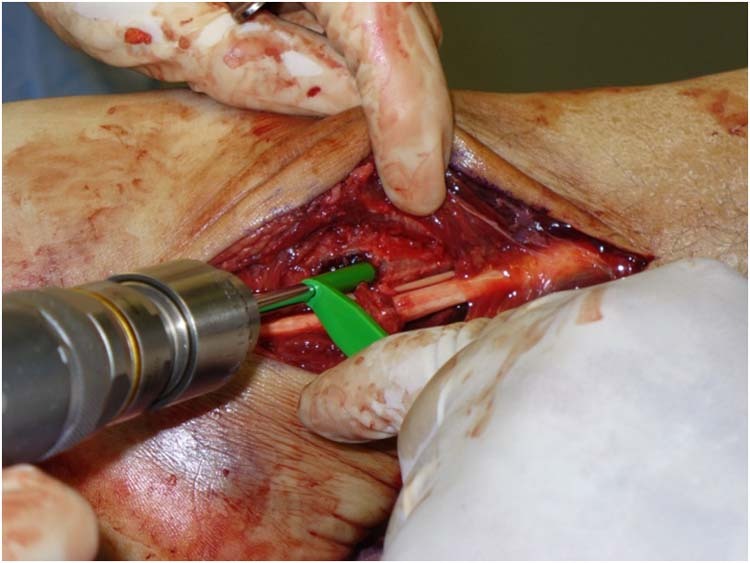 It is interesting to note that the surgeons surveyed are prepared to consider operative repair more proximal than the anatomical musculotendinous junction. 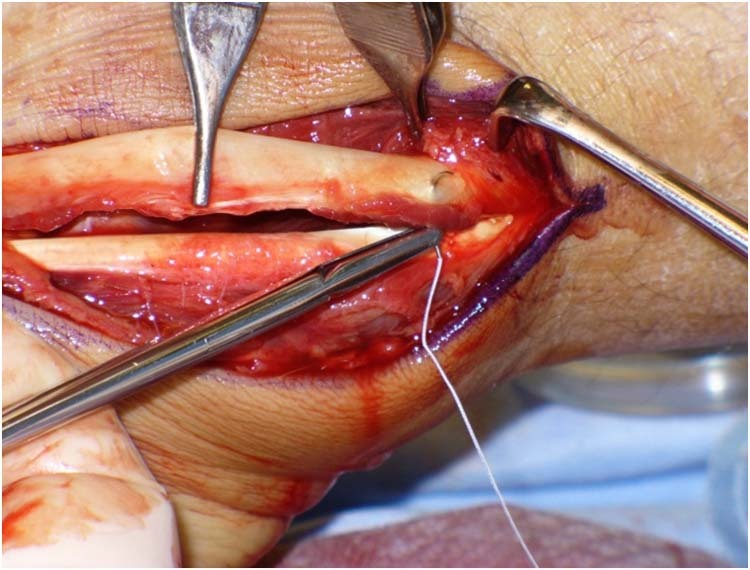 It would suggest that there is adequate quality tendon to repair proximally. 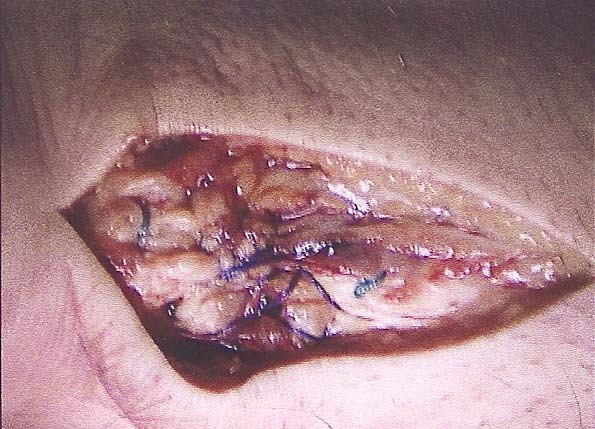 This is despite the fact that the majority of respondents defined the musculotendinous junction as a level beyond which sutures would not hold. 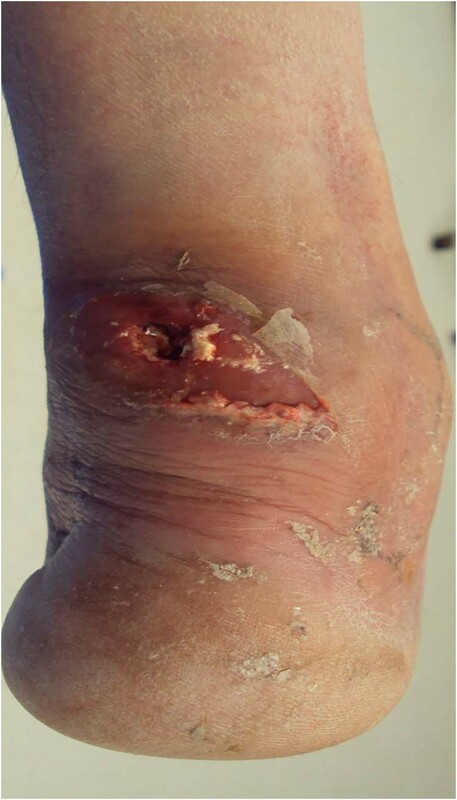 We would suggest that the term musculotendinous junction should continue to define the point at which the last fibres of soleus attach to the Achilles tendon. Proximal to this there is a ‘musculotendinous zone’. This study has identified an ‘Achilles surgical zone’ which is approximately 0-10cm from the calcaneal insertion. 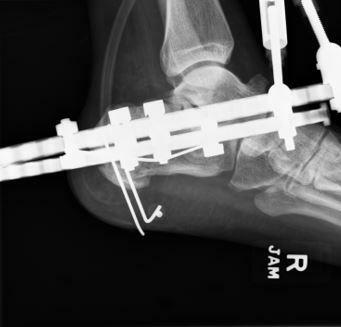 Further research is required to discover the true value of surgery for high Achilles ruptures. 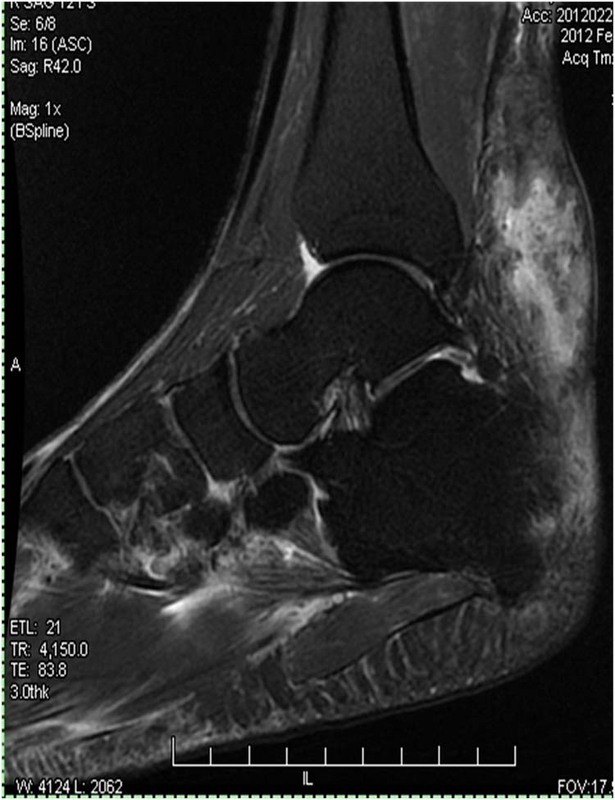 In the light of our findings, and bearing in mind the considerable anatomical variation identified by Pichler, et al.,  we suggest that, to avoid confusion, any ultrasound scan on a suspected Achilles tendon rupture should identify the level of a rupture relative to the calcaneal insertion. 1. 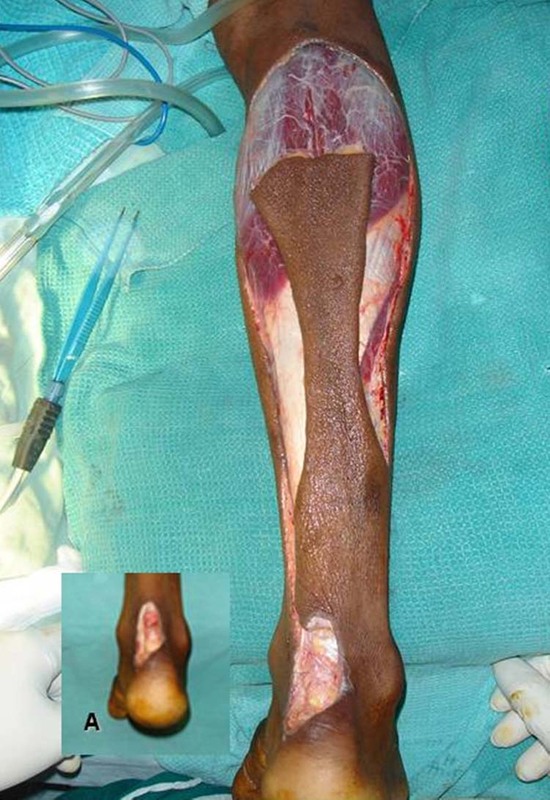 Carr AJ, Norris SH: The blood supply of the calcaneal tendon. 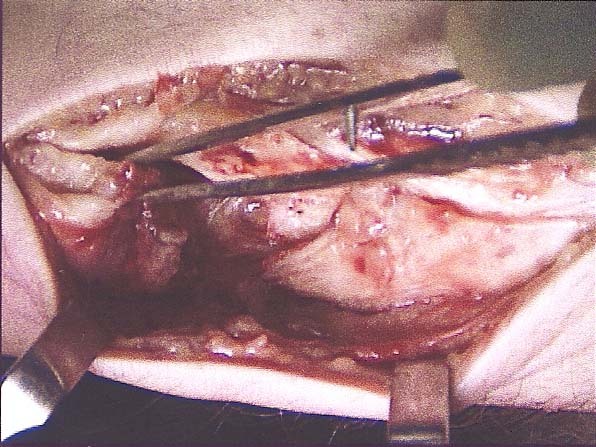 J Bone Joint Surg 71B:100 – 101, 1989. 2. 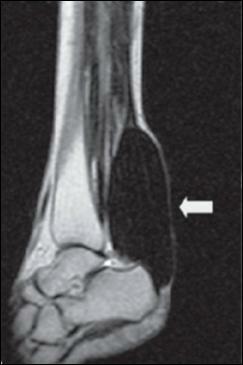 Lagergren C, Lindholm A: Vascular distribution in the Achilles tendon. Acta Chir Scand 116: 491 – 495, 1958/59. 3. 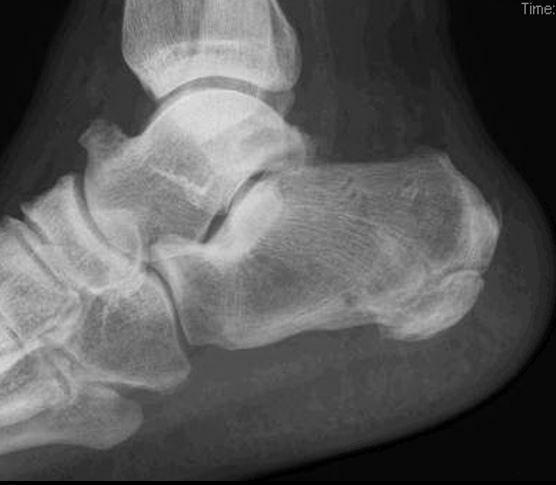 Arner O, Lindholm A: Avulsion fracture of the os calcaneus. Acta Chir Scand 117: 258 – 260, 1959. 4. Khan RJK, Fick D, Keogh A, Crawford J, Brammar T, Parker M: Treatment of acute Achilles tendon ruptures. J Bone Joint Surg 87A (10) 2202 – 2209, 2005. 5. 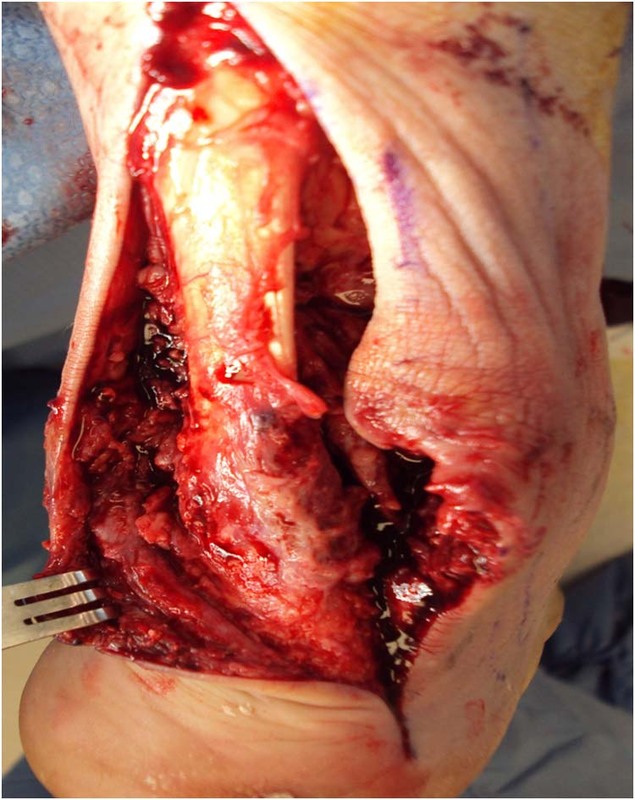 Bhandar M, Guyatt GH, Siddiqui F, Morrow F, Busse J, Leighton RK, Sprague S, Schemitsch EH: Treatment of acute Achilles tendon ruptures: a systematic overview and metaanalysis. Clin Orthop Relat Res. 400:190-200, 2002. 6. 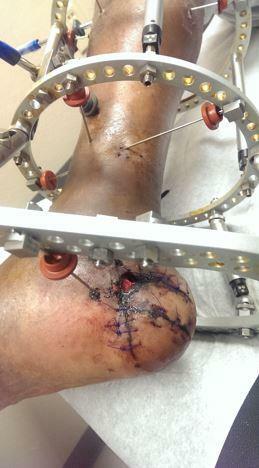 Lea RB, Smith L: Non-Surgical Treatment of Tendo Achilles Rupture. 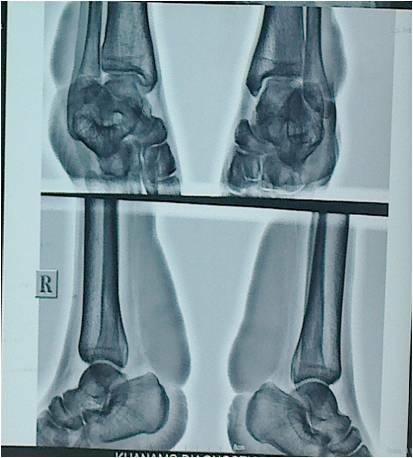 J Bone Joint Surg 54A (7): 1398 – 1407, 1972. 7. 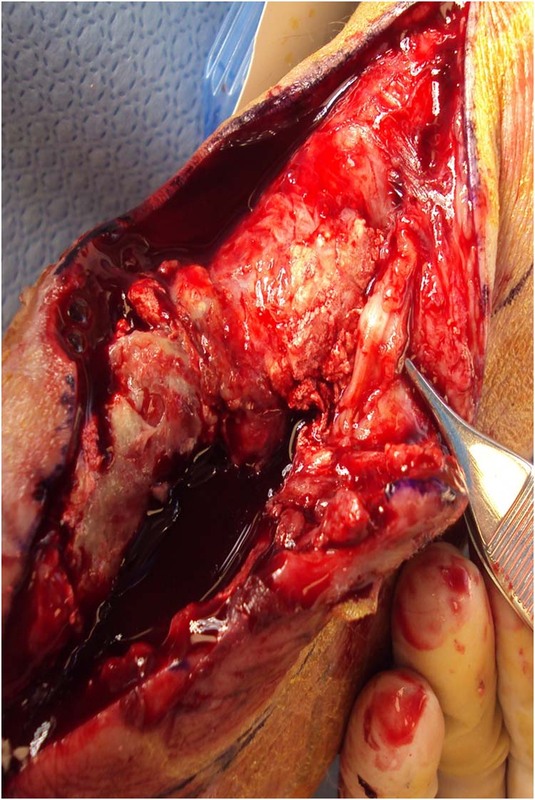 Strauss EJ, Ishak C, Jazzrawi L, Sherman O, Rosen J: Operative treatment of acute Achilles tendon ruptures: An institutional review of clinical outcomes. 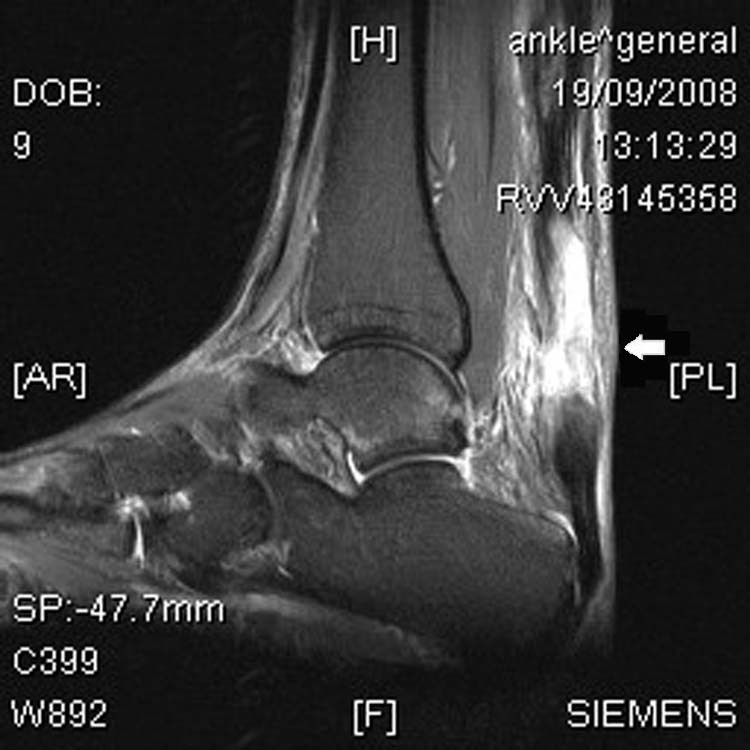 Injury 38: 832 – 838, 2007. 8. 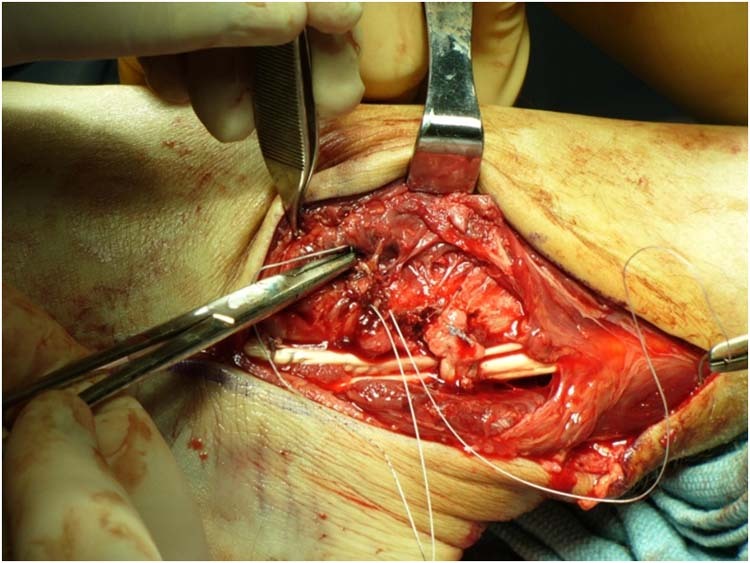 Pichler W, Tesch NP, Grechenig W, Leithgoeb O, Windisch, G: Anatomical variations of the musculotendinous junction of the soleus muscle and its clinical implications. 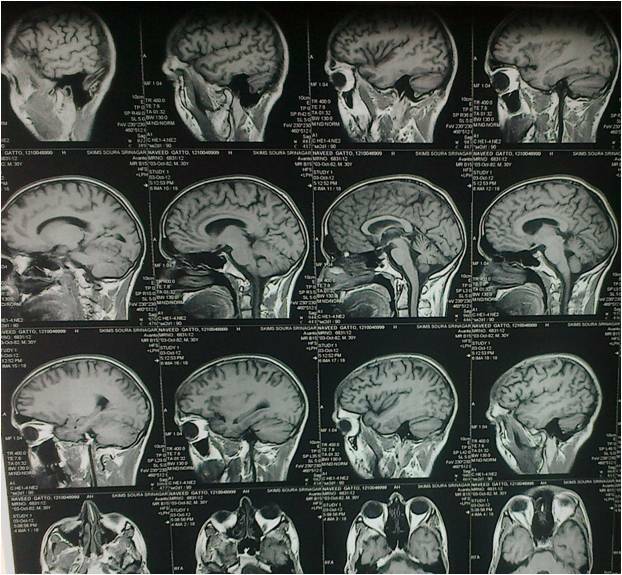 Clin Anat 20: 444 – 447, 2007. 1 Orthopaedic Registrar, Royal Cornwall Hospital, Truro, UK. 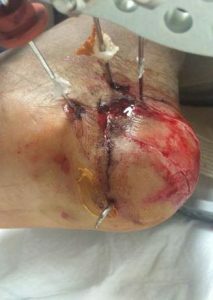 2 Orthopaedic SHO, Derriford Hospital, Plymouth. UK. 3 Othopaedic Consultant, Plymouth. UK.